Fronting on the north side of Interstate 10, this 28.361 acres is adjacent to Belmont Master Plan Community and just east of the future I-11 Corridor. There is a month to month Lease on the Property for grazing cattle therefore the property taxes are reduced significantly. 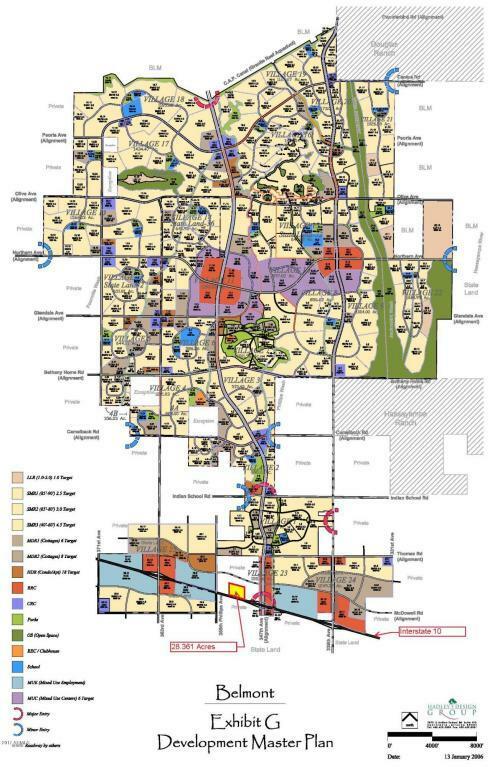 The land on the North side of the Property is owned by Belmont MPC, the land on the west side of the Property is owned by ADOT and the land on the east side of the Property is privately owned. Property sold as is with no warranties, no guaranties. Cross Street W. Indian School Road And 355th Ave.